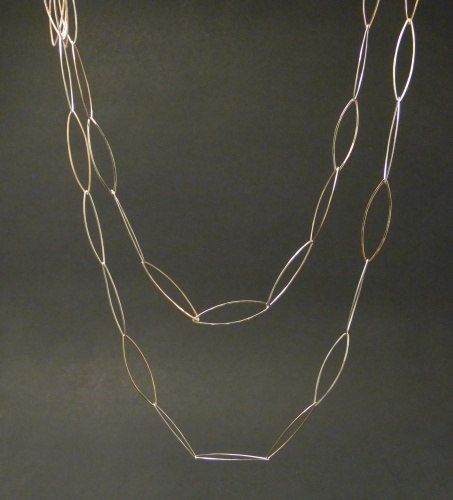 A very long opera-style neckchain made with alternating goldfilled and sterling links. 2 sterling links followed by a goldfilled link, then 2 sterling links, followed by a goldfilled link. An almond shaped sterling lobster clasp secures this neckchain. 54" long, can be doubled, or tripled to shorten neckchain. Great everyday necklace or to wear while dressed up.